Peat moss has been a known resource of farmers for thousands of years. Peat moss was once used for livestock bedding and is still used as a heating source, although it is not as significant in this area as it was through history. Peat moss is used today as a fertilizer and soil amendment by gardeners, and has been since the 1940s. The importance of peat moss in other areas, both ecological and archaeological, is reaching a heightened awareness with many groups attempting to curtail the use of peat moss for commercial applications. Peat moss is a type of moss found in bogs. There are 350 various species of moss that can be categorized as peat moss. It can be purchased in irregular dried clumps at garden stores. Peat moss is found in a increasingly limited range in Europe, New Zealand, Canada and portions of the United States. At issue is the harvest of current peat bogs compared to the growth of existing live bogs. According to the National Trust of Australia, the elimination of peat bogs is nearing similar levels compared to rain forests. Peat moss is partly decomposed organic material found in wetlands. Peat moss floats to the surface of bogs to reach the sunlight. Because of this, and its need for air like other vegetation, peat moss holds air; this is accomplished by the hollow cells within the moss that can also retain water for nourishment, if needed. Peat moss also contains acidic compounds, or phenols, within the cells that kill bacteria and fungi, making it resistant to decay. These properties are important when the peat moss is dried and sold because it holds moisture and air for plants grown in the dried moss. Gardeners use peat moss to mix with compost, mulch and fertilizer so vegetation is provided with an extra holding source for moisture and nutrients. Because peat moss retains water and air, root systems of vegetation planted with it are less likely to dry out, burn or suffer from outside pathogens; this is especially useful in container gardening. Peat moss is also useful as an amendment to poor-draining soil such as clay or for fast-draining sand because it evens out the amount of moisture available. Peat moss is also useful in controlling soil erosion because it holds sandy soils together and keeps clay soils from drying out too quickly. Peat moss is used in many ecological applications. Peat bogs are water purifiers, providing clean drinking water to some nearby areas. According to the IPCC, peat bogs contribute to 10 percent of the freshwater resources worldwide. 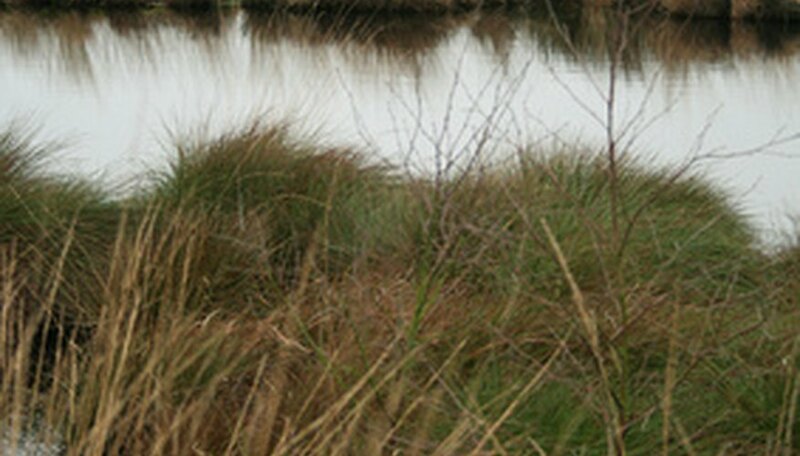 Another feature of peat bogs is the use as filters for pollutants such as sediments and chemicals. Peat moss absorbs carbon dioxide as it grows and the carbon is locked into the plant as it turns to peat; when peat bogs are drained and dried the carbon is released into the atmosphere to create greenhouse gasses. Peat moss is a natural archaeological storehouse of the area surrounding it because of its high acidity and slow decomposition. Peat bogs are used by scientists to identify characteristics of the surrounding area as back as 10,000 years, according to an article in Natural Life magazine. Items such as bones, wood, preserved plant life and other artifacts can be found in bogs. These bogs are important in identifying past vegetation and climate conditions. Carbon dating is used to find the dates of vegetation types and the timeline for environmental changes in the region. These studies help predict future climate change.